The following is a true story of something that happened in Poland during World War II, which I believe, is a beautiful example of inclusivity. In a particular village, there was a man that was well known and loved for the care and compassion he had shown to others. He was not a particularly wealthy man; he had not been born and raised in that village and he did not attend the village church. Although he had been asked on several occasions if he would like to be baptized and join the church, he never showed any interest in it. Regardless of this, he was highly revered in the village. If a stranger came to the village and needed a place to stay, the man would offer a cot in his little home. If a village family ran out of funds, the man would be the first to offer a loaf of bread or cooking items out of his meager supplies. If someone was in trouble, or if the Germans and Russians were performing a sweep of the village to collect up young men for either imprisonment or to force them into the army, he would help the young men escape to freedom. All of these kind acts were not forgotten. When the man died, the villagers prepared his body for burial and went to the church to ask the priest to perform the funeral and to bury the man in the church cemetery. The priest agreed to do the funeral, but despite the pleas from the villagers, he told them he could not bury the man in the cemetery. "I cannot bury the man in our cemetery, it is hallowed ground. Since he was never baptized, he cannot be buried there. Those are the rules of the church and I cannot change them." The villagers appealed even more earnestly to the priest, saying that the man was a good man and surely loved by God as much as any of the baptized-perhaps even more because of all the good he had done. The priest agreed with them regarding the virtues of the man, but he insisted that the rules of the church were clear and could not be broken. Finally, he compromised by saying, "In recognition of your love for him, and his love for you, and all of God's people in this village, I will bury him on church land. It will be near to those who have gone before him, those whom he has loved, but it will have to be beyond the fence that surrounds the consecrated ground of our cemetery." And so it was. On the day of the funeral, the priest conducted the service and all the villagers processed to the appointed spot. The grave was filled. 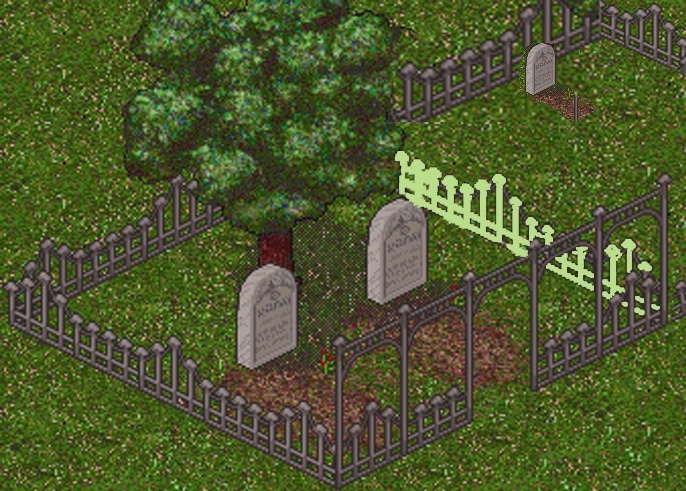 A stone was placed to mark the grave. Night fell. Yet, that night, something very beautiful happened. 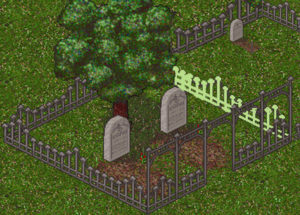 During the night, the fence that surrounded the cemetery had been moved by some of the villagers so that it now took in the grave in which the man had been buried. For me, this story captures the essence of Jesus himself. It was all about the essence of the good news he came to bring, namely inclusivity. Just as those villagers expanded the fence, which enclosed hallowed ground to include the grave of their friend they dearly loved, so God, through Jesus Christ, expands the boundaries of the sacred to include both those whom the rules of religion would exclude and those that the ways of this world would exclude. Robert Frost once wrote, "Something there is that doesn't love a wall." That is good news for us, because we live in a world of walls. Dividing walls are everywhere we look. Yet, there are also abundant opportunities to expand the boundaries of grace, of mercy, of acceptance, and, most importantly, of love. May we be open to the ways Christ is calling us, Christ is nudging us, Christ is challenging us to widen and expand the sacred to include those who might otherwise be excluded. ← What Will We Choose?